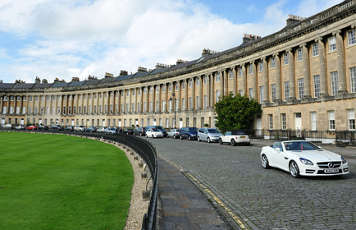 Bath and North East Somerset Council is seeking bids for a highways maintenance and improvement contract that could be worth £70m over 10 years. The highway authority has said that following an open day in March, which was attended by 27 organisations, due to the number of companies of that have expressed an interest, it will shortlist five candidates instead of the planned three. The contract notice states that it will be for a seven-year term with options to extend to 10 years. The total value of the initial term is approximately £49m. If the contract be extended to the full 10 years its value would be approximately £70m. The council currently has a contract with Skanska, which expires next year. Litter picking on highway verges is optional. The contract will not include: traffic signals, street lighting, highways structures (major works), safety and network inspections, core design work for resurfacing or improvement schemes, winter decision making, purchase of salt or customer contact centre and community interface. As the council is part of the West of England Combined Authority (WECA), the contract may include improvement schemes that are funded through WECA. Interested companies can register and express an interest the www.supplyingthesouthwest.org.uk e-tendering portal, where they can download the selection questionnaire and a draft of the initial invitation to tender document. The deadline for receipt of tenders or requests to participate is 2pm on 1 June.